Visual Studio Code>Programming Languages>Songmark language supportNew to Visual Studio Code? Get it now. 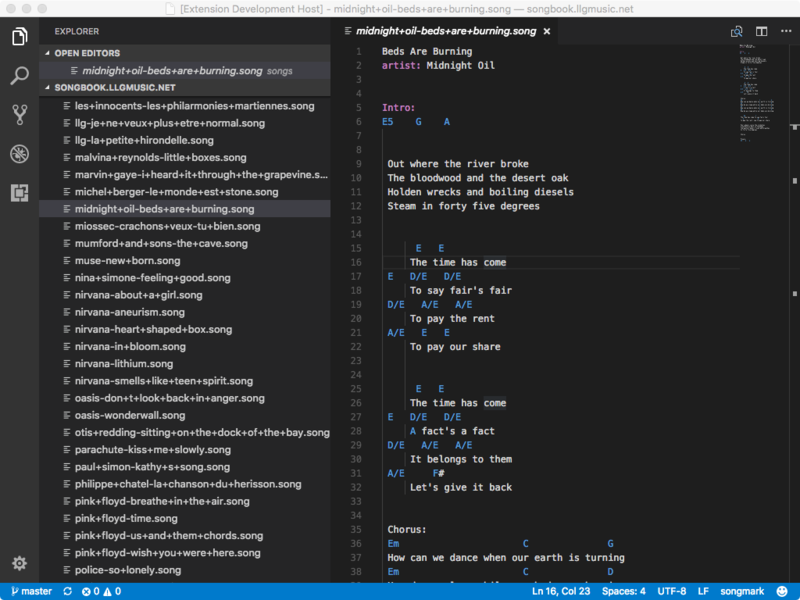 Songmark language support for Visual Studio Code.